Every now and then, a trend comes along that is lusted after by everyone from fashion editors to bloggers and is as elusive as it is popular. When Opening Ceremony designers Carol Lim and Humberto Leon took over as Creative Directors at Kenzo, their debut collection was eagerly anticipated to say the least. Little did they know the effect a certain tiger motif would have on the style hungry fashion crowd. In 1970, Japanese born designer Kenzo Takada opened his first boutique ‘Jungle Jap’, in which he sold his first designs. Full of bright prints and exotic inspiration, Kenzo was soon regarded as one of the most exciting new designers to emerge. 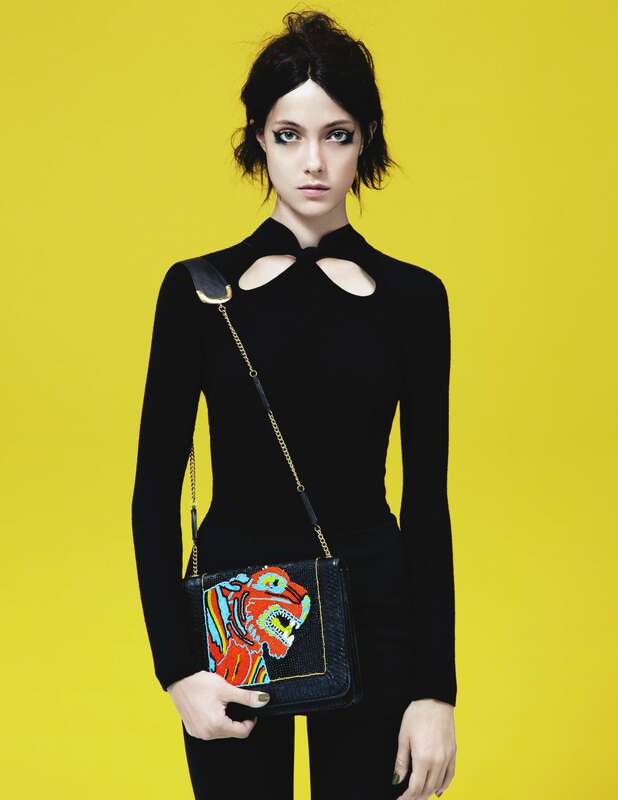 Although the label became most famed for it’s floral prints, Kenzo once said; “The world is my influence.”. When Lim and Humberto took over the helm in 2012, their debut collection for Autumn/Winter 2012 featured an altogether more brazen motif; an embroidered tiger with a roaring mouth emblazoned with the Kenzo logo. The designers had sought inspiration from rooting through the brand’s archives, and discovered that tiger patterns could be found hidden inside waistbands, bags and on watches. The sweatshirt proceeded to sell out at Opening Ceremony in just two days, and the internet was awash with style savvy buyers desperate to get their hands on this must have piece. 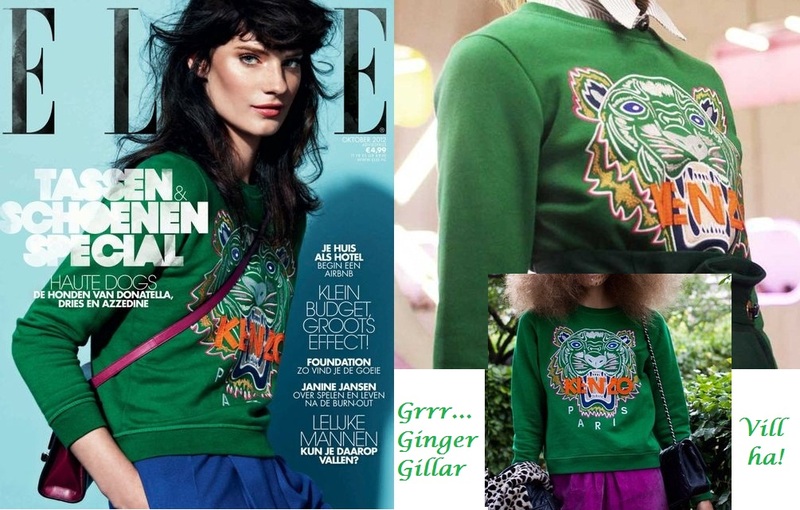 And the same time as Kenzo’s now famous sweatshirt burst onto the scene, here at Angel Jackson we released our Tiger Satchel. This hand made to order satchel is made from snakeskin and leather trim and features bright panels of hand beading in a tiger motif. The pop-inspired design comes in a variety of colour combinations and will add a bit of exotic interest to any outfit. The unique beading is reminiscent of mosaic patterns, whilst sequins and gold hardware add the sparkle to take you from day to night in an instant. Its been a hit with our loyal Angel Jackson fans too; Caroline Issa, executive fashion director of TANK magazine has paired hers with a simple grey coat. We love how the bright beaded panels add a colour pop to her ultra chic outfit. And who better to show how to rock a trend than modern day style icons Jaime Winstone and Daisy Lowe? 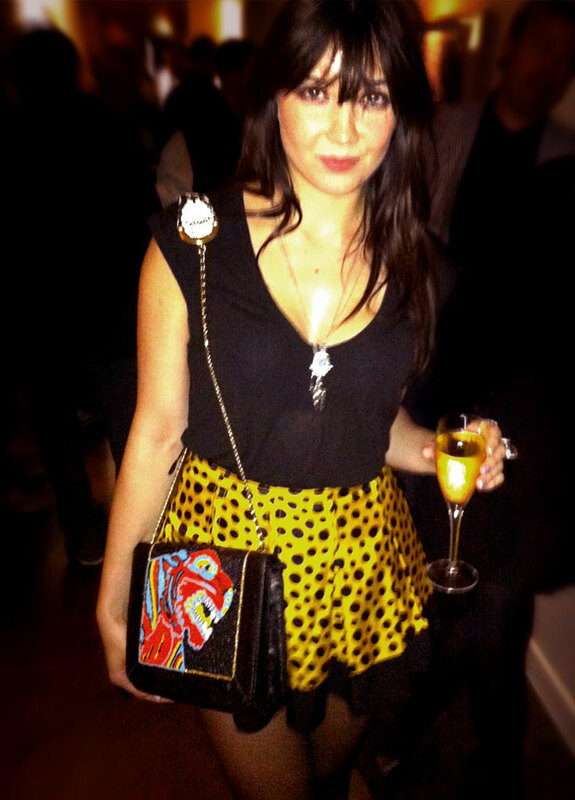 Miss Lowe’s flirty polka dot ensemble works perfectly with the gold trim of the satchel; a great evening look. It seems that 2013 is the year of the Tiger, rather than the Snake. As part of Lakme Fashion Week in Mumbai, the Aircel ‘Save our Tigers’ project put on a fantastic show featuring forty designers, all showcasing their feline inspired creations. From animal prints to prowling silhouettes, it was not only a chance to admire new talent but it was all in support of a worthy cause. It seems there is only one way to go this season, and that’s to follow in the paw prints of our favourite big cats, and embrace the jungle trend. 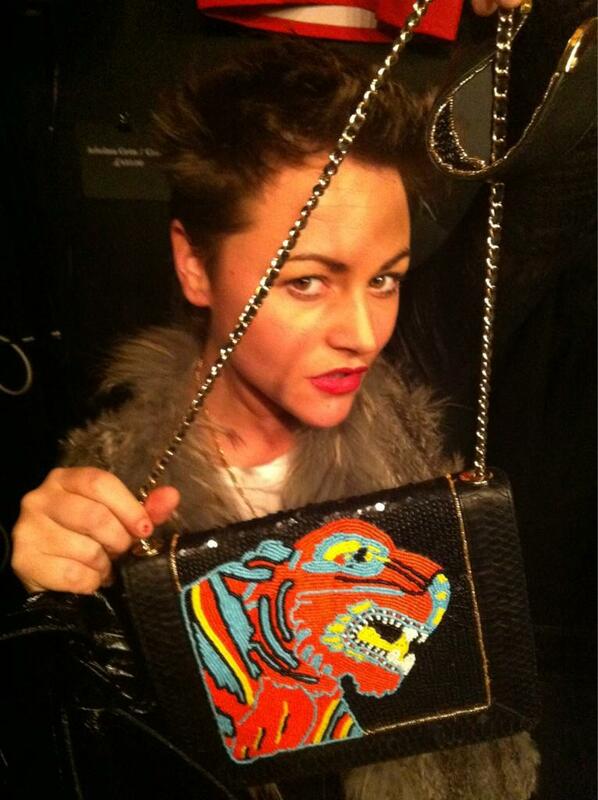 You can view our Tiger Satchels here.